The art of creating beautiful landscapes deals with the intersection of many disciplines. Architecture, topography, horticulture, design to name but a few. Perhaps the single most important discipline is that of listening. Listening to the acute needs of your client, their unique desires and aspirations for their outdoor expansion and bringing their outdoors into the home in a way that is integrated and timeless. It goes without saying that this also requires that ideas generated are within prescribed budgetary considerations identified by the client. 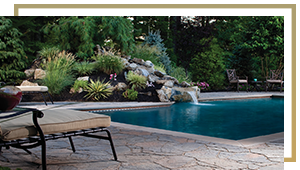 Ivy Studio LLC, a landscape design and build practice located in Massachusetts specializes in expanding residential outdoor environments for clients in the Boston metropolitan area. We offer creative and innovative design services with real time, three-dimensional design renderings that burst with energy and accurately render your ideas in a way that allows you to see what you will get in the implemented outcome. We invite you to learn more about our services by calling us at 781-591-0300 to set up a no obligation consultation or contact Vern Chellberg our Principal at vern@ivystudioMA.com.